It’s undeniably unique for a micropolitan community to have the high quality of food, arts and culture you’ll find in Moore County, NC. And we have those in spades. Our 11 unique communities “punch above their weight class” with award-winning restaurants, sophisticated, eclectic shopping, and one of the best sports and recreation communities in North Carolina. Throughout the year, we offer a rich menu of community activities, including golf tournaments, art shows, food and wine festivals, equestrian events and holiday concerts. These amenities accelerate Moore County far above surrounding communities and contribute to the cosmopolitan lifestyle and high standard of living we’ve come to enjoy. 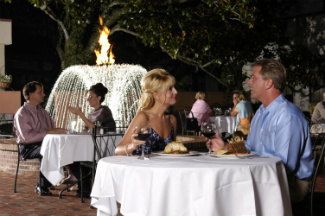 Known as a “mini-Charleston” for dining, Moore County attracts foodies and food lovers alike with a wide variety of high-end local restaurants. Did you know Chef Prem Nath of 195 trained under Food Network celebrity chef Bobby Flay? He's also been named one of the Best Chefs in America. 195 is known for surprising taste combinations and healthy meals using local farm-fresh food and various styles of cuisine. In fact, many restaurants in the area are known for embodying the farm-to-table movement. At Elliots on Linden, every delicious ingredient is grown locally, giving patrons a true taste of the area. In the mood for an international dish? Satisfy your taste buds at Ten-Ya, which offers top notch Japanese cuisine and sushi. Freshness is on the menu at Chef Warren’s, where dishes range from local to international cuisine. With everything from first-class restaurants to local barbeque joints to microbreweries, Moore County has something to delight everyone. From visual and performing arts to theater and film, our area boasts a thriving arts community. 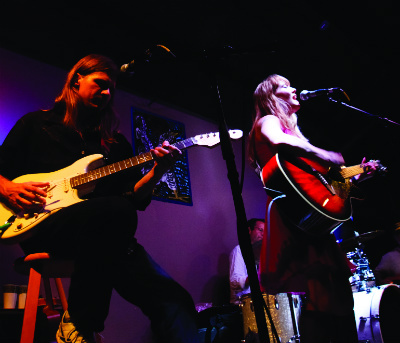 The Arts Council of Moore County organizes events ranging from art galleries to musicals to jazz concerts by world-renowned musicians. Film connoisseurs frequent the Sunrise Theater, which showcases independent films. And for the musically inclined, check out the The Carolina Philharmonic, a local symphonic orchestra with a wide stylistic range that includes favorites like Bach and Beethoven. The Carolina Philharmonic is also a Carnegie Hall Link Up partner in bringing music education to 3-5th grade students. Moore County is a regional hub for shopping that attracts residents from many surrounding communities. The area is home to a strong “shop local” movement, Choose Local MC, and the locally-owned stores have much to offer shoppers. Looking for antiques? Cameron was voted Best Antique Area in North Carolina by Our State magazine. An area steeped in history, Moore County has a number of museums that allow visitors and residents to explore its culture and past. The Moore County Historical Association has five house-museums that provide a glimpse into life in the 18th and 19th centuries. For those interested in literature, Moore County is also home to the Weymouth Center, which offers the Ragan Writers Series and is the location of the North Carolina Literary Hall of Fame. Check out this video about Christmas at Weymouth! Moore County also has a wide variety of sports and recreation opportunities beyond its rich golf tradition. The Athletic Club of the Sandhills provides everything from soccer leagues to triathlon training clubs and skilled coaching staff, and Moore County Parks and Recreation has multiple sites with baseball fields, walking trails, volleyball courts, and more; one site even hosts dancing classes. 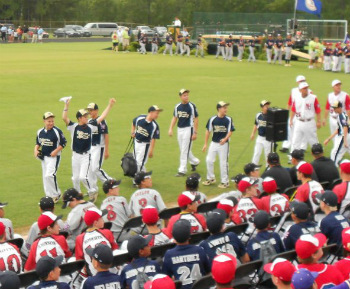 The National Athletic Village in Southern Pines offers diverse sports activities for all ages and skill levels. The Walthour Moss Foundation is a 4,000-acre nature preserve and offers miles of trails for horseback riding. While most wouldn’t call this dining, we’d be remiss to not mention a couple of great places to get hand-crafted, local beer. The Railhouse Brewery, located in Aberdeen, was Moore County’s first microbrewery. Southern Pines Brewing Company opened in 2014. Both companies are veteran-owned. Plenty of places would love to have a top notch microbrewery in town. We've got two—and another is on the way! The Pinehurst Brewery is slated to open in Fall 2018 in the Village of Pinehurst's historic steam plant building and will feature onsite brewing and a pub restaurant. Copyright © 2019 Moore Alive. All rights reserved.